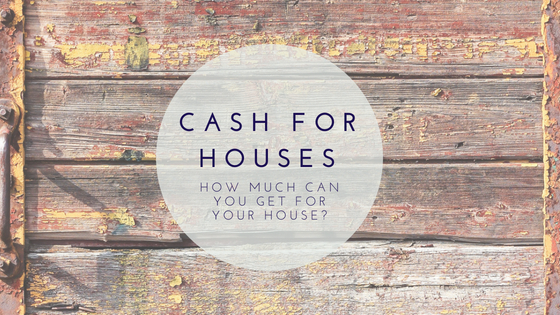 Cash For Houses In Carson – How Much Can You Get For Your House? How Much Cash For Houses In Carson Will You Get? If you’re thinking about selling your house, here’s how much cash will you really get? Sellers who are asking about cash for houses in Carson want to know how much they will “net” if they sell their house. If you’re thinking of selling your house in Carson and are wondering how much you will get, this blog post will help you to answer that question. Because this blog will be read by people all over Carson (and nearby areas), with various prices reflected throughout that area, it’s going to be difficult to write about a specific dollar amount. However, this important concept will help you understand how much buyers pay cash for houses in Carson. On The Market: When a house is sold “on the market”, that means it’s usually listed on the MLS (Multiple Listing Service) by a real estate agent and is eventually sold after several potential buyers have seen the property and at least one of those potential buyers has made an offer. Houses that are sold “on the market” will often sell for approximately the same amount that other similar houses in the area have also sold for. This is often called “market price”. Please remember that on any given day, “market price” can be affected by interest rates (which have been going up lately), season (there tends to be more selling activity in the Spring) and overall market health (multiple factors involved in this one). Selling on the market usually means you’re selling it to a person who will be living in the house. They’re buying the home for themselves and their family. But when you sell off-market, you’re most likely selling to a company that might be investing in your house to turn it into a rental property or to remodel it and then sell it. Selling on the market usually means the buyer needs financing. Selling off the market, in a private sale, means that a professional home-buying company is willing to pay cash for houses in Carson. (That’s why some people absolutely prefer to sell off-market – they don’t want to wait for the seller to get financing, only to learn that the buyers aren’t qualified a month into escrow; they want to know they’ve sold the house right away). Selling on the market will cost you money, sometimes a lot of money. If your house needs renovations and repairs, you usually have to spend money to fix up your house before you sell it on the market. However, when you sell it off the market, such as to a company like us at The Shenbaum Group, Inc., you may be able to sell your house as-is – saving the money (and the time and hassle). As-is can be important to many sellers when their house needs lots of repairs and they don’t want the liability of selling a house with so many needed repairs and defects. Selling on the market through a real estate agent means paying commissions and fees to the real estate agent for the work they did to sell your house. But selling off the market to a home buying company like The Shenbaum Group, Inc. means no commissions or fees or closing costs. Imagine not having to pay 6% of the final sales price of your house. In Carson, a $500,000 house would mean $30,000 in real estate commissions. Not to mention all the sales fees and taxes, which are typically 2% of the sales price, or $10,000 more in this example. Selling to a company like us will save you over $40,000 if your house is worth $500,000. How much money will you get for your house? Selling on the market may mean you sell your house for more money but it takes longer and costs more and there is no guarantee that you will get more. Conversely, selling off-market may mean you sell your house for below market, but it’s faster and there are no fees for you to pay, which means less headache or no headache for you. So, how much will sellers get in cash for houses in Carson? It depends on how you decide to sell your house – on the market or off-market… and that is determined by how fast you want to sell your house and how much time and money you’re willing to invest in it to sell it on the market.